Home » World » USA & Canada » Missing FBI Agent, Armed and Dangerous! Missing FBI Agent, Armed and Dangerous! A missing California FBI agent might possibly be armed and suicidal. The Los Angeles County Sheriff’s department officials and other law enforcement personnel have searched a mountain area for an FBI agent who has not been seen for more than 24 hours and was said to be despondent and possible suicidal! Los Angeles-based Special Agent Stephen Ivens was last seen by family members Thursday evening, KABC-TV reported. 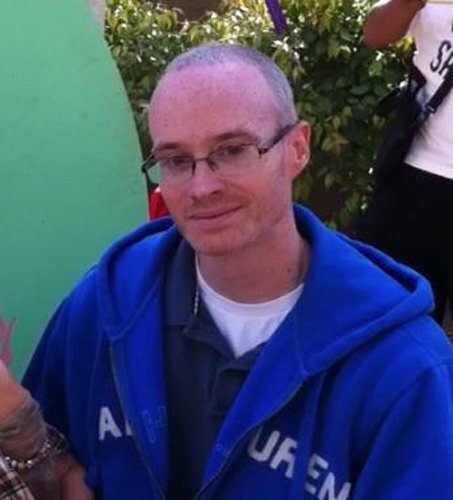 He left his Burbank home the next morning on foot and hasn’t been seen since, FBI officials said at a news conference. Ivens was distraught and authorities fear he may have harmed himself, according to KABC-TV. Officials did not say why Ivens was distraught. A search of his home did not turn up his handgun and police believe he may have taken it with him. About 100 FBI agents, 40 sheriff’s department rescuers and a dozen local police officers were participating in the search for Ivens, who was described as an avid hiker and runner. FBI Special Agent Steve Gomez said dogs had tracked Ivens’ scent toward the rugged Verdugo Mountains, east of Burbank, but searchers were fanning out throughout Los Angeles County. Ivens was described by FBI colleagues as well liked. Married with a one-year-old child, he has been working for the FBI for the past three years in the national security area. Prior to that, he worked as a Los Angeles police officer for eight years. Gomez told reporters that foul play was not suspected and Ivens was not believed to pose a threat to others. What stores are open this Christmas 2011? Next: “Nasaflu” Made Fun of by Will Ferrell On SNL! Jessica Simpson and Eric Johnson are Married! Actor Tracy Morgan is Critical! What on earth has Miley Cyrus done to her eyebrows?? Madonna's Daughter Gets Green Hair! Harry Potter and the deathly Hallows tickets open for sale! Kirk Hinrich, No. 17 Pick To Wizards?